Print Quality Standards in the Supply Chain | Mann & Co. Inc.
Print quality standards are essential. But how do you maintain consistency from start to finish? Printing typically begins with the design process. This being the starting point, getting it right is crucial. Careful attention needs to be paid to color, design elements, formatting and positioning and so on. Then, the proofing begins. This isn’t to say that the pros don’t check all designs before a large run. But it is always a good idea to inspect what you expect and check the accuracy of the design quality. After proofing, printing can start. This is where you would print the exact number of copies you or your client need. Sometimes, this is done in-house. Depending on the job or the tools available to you, you may outsource this process. Finally, there’s the delivery. This is where the pros pass collateral to your client or the people who are going to be using it. 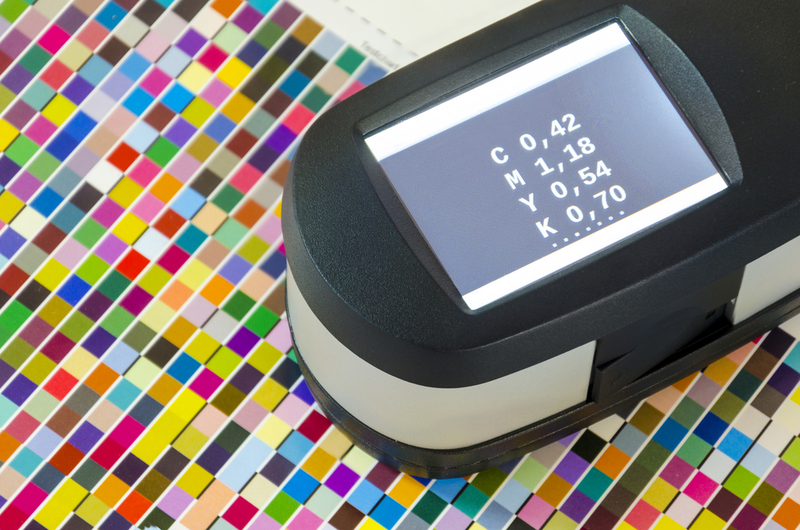 Ensuring accuracy at every stage is essential to meeting print quality standards. Again, the design phase is the first and potentially most important component of the entire printing process. You need to ensure that the dimensions of the designs are correct, choose the right dpi and color modes, proof your design, design with the purpose in mind, and so on. Configuring your monitor is generally a good idea, especially if it isn’t set up for design, and this can be done using a color calibration tool. Checking and double-checking design specifications is also wise. Using the correct colors and design elements ensures that you maintain a high standard for the print materials. If you get this part right, a lot of the other pieces tend to fall into place. Once your design or designs are in order, you can begin the proofing process to meet print quality standards. Print out some proofs of your design to check their accuracy and quality. Are the designs showing up correctly? Are they pixelated? Is the color off? Is the alignment of how it should be? Even if you think your designs are flawless, you might pick up on some things you didn’t notice while you’re proofing them. If time is not a factor, you can keep proofing your designs until they are perfect. Even if you’re feeling good about the proof, now is not the time to relax. The printing phase is about to begin, and you can’t deny its importance when it comes to meeting print quality standards. It’s entirely possible that the people handling the designs and the people handling the printing aren’t the same. If you’re passing off the printing job to another vendor, you’ll want to be clear about your specifications. After all, printing may be done on materials other than materials for proofing. Even if you are doing all the printing in-house, you’ll want to ensure that the material being produced is up to standards. Delivery should not affect print quality standards. And, you want to dot your I’s and cross your t’s before even thinking about getting the print collateral to the right departments. Otherwise, you’ll waste time and resources on a product that your client doesn’t want. So, before you even get to this phase, your designs and proofs should have gone through enough scrutiny, and if anything went wrong at the printing phase, you should have caught it. Nevertheless, delivery is an important part of the supply chain so address it as such. Perfection is generally impossible with print materials. But if you are vigilant during each step of the process, you’re far more likely to help your clients get the results they want. In print, your goal is “good enough,” but that is still a high standard, with only a tiny margin for error. How do you meet print quality standards throughout the supply chain? What systems do you have in place to ensure your designs come out looking great? Written by: Perry Mann on March 19, 2019.